"Quite frankly I want to see some support for some of the bills we have," says Sen. Duane Ankeny, a Republican from Colstrip. Ankney is among the Republican co-sponsors of the bill to continue the state’s Medicaid expansion program. However Ankney and other key co-sponsors voted against the bill, HB 658, in the Senate Thursday afternoon. "You know, we work hard for a lot of our bills, and we see absolutely no support on the other side of the aisle for a lot of our natural resource bills. 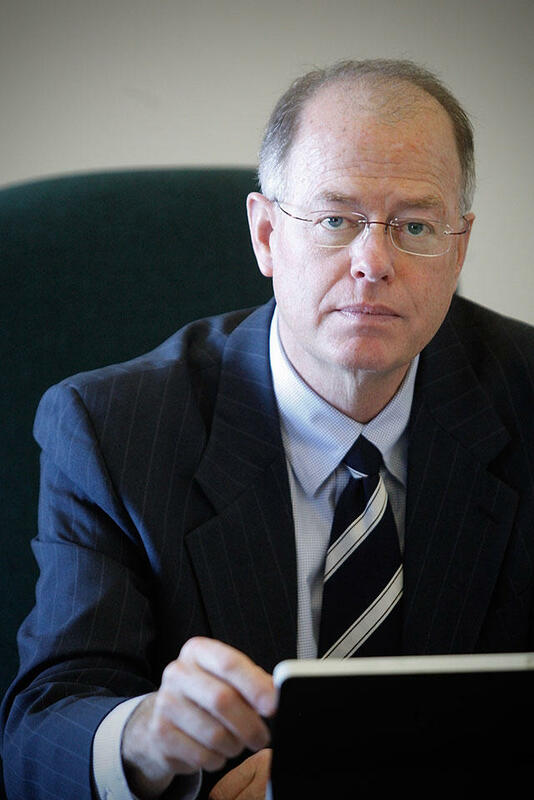 And after all, natural resources is what's going to pay for this Medicaid bill," Ankney said. 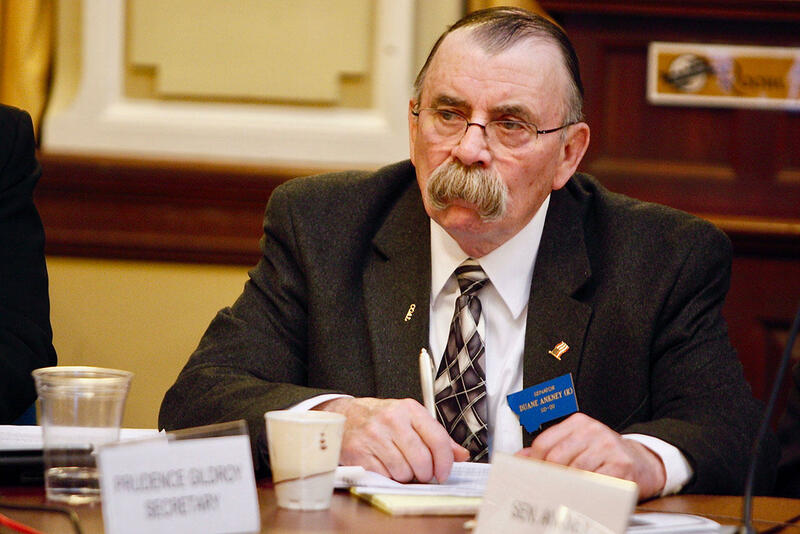 Ankney and other Republicans have linked the so-called Montana Energy Security Act, SB 331, to negotiations over the future of Medicaid expansion, the healthcare program that now covers around 96,000 low income adults. SB 331 gives NorthWestern Energy incentives to by a larger share of the Colstrip power plant, and allow the company to pass $75 million of associated costs onto its customers, without the usual review by Montana’s Public Service Commission. While supporters say the bill will provide Montana a great source of reliable power, critics say it’s an unnecessary deregulation of the state’s largest monopoly utility. But, Senate Majority Leader Fred Thomas says dealmaking over Medicaid expansion is about more. "Members of our caucus are looking at this in the big picture. And it’s not having to do with one bill or another. It’s the big picture for this state. This [Medicaid expansion] is a big money bill. And it takes a lot of money to fuel that." Gov. Steve Bullock issued a statement soon after the Senate vote saying, "The 96,000 Montanans who rely on Medicaid expansion don’t have votes to trade." In a meeting with reporters yesterday, Bullock said he heard about possible changes to the Colstrip bill, but avoided taking a clear stance on it. "But I would say that I continue to have skepticism that [SB]331 in its current form is really a good deal for Montana." Today’s tie vote on Medicaid expansion means it is now stalled on the Senate floor, facing a deadline of early next week to pass over the House. 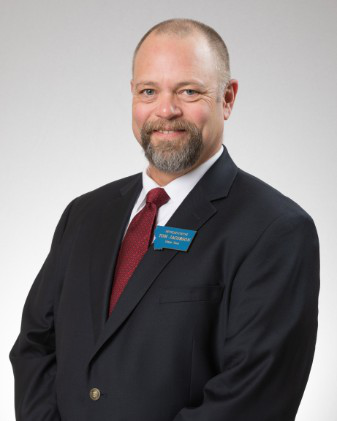 Jason Small, a Republican from Busby, is carrying the bill in the Senate. "The old program, by all accounts, was pretty successful, everbody knows that. And this one here, it might be even better than the old one, when when you get down to it. There has been a lot of major reform in it." One of those major reforms is the addition of 80 hours per month of work and public service requirements for certain Medicaid enrollees. Democrats and some Republican say they’ve come to a compromise on what those requirements look like. But Republican leadership in the Senate says those compromises made the work requirements, "weak". Before the expansion bill failed to pass this afternoon, it was amended by conservatives to include a sunset, meaning it will expire in 2025 unless the Legislature acts to continue it. Sen. Tom Jacobson (D) - Great Falls. It was also amended to require the state health department to use confidential tax records to verify that a person meets the income level required to receive coverage. Sen. Tom Jacobson, a Democrat from Great Falls, says using tax records in this way could be against the law. "So I don’t know how we move forward in implementing Medicaid expansion when ... the methodology or the verification process that we’re talking about is potentially illegal." Whether those amendments stay on the Medicaid expansion bill will be determined by how lawmakers reconsider their vote. Senate President Scott Sales says the latest House Bill 658 can be put to another vote in order to meet a legislative deadline is Saturday. The state’s Medicaid expansion policy expires at the end of June if not reauthorized. A University of Montana study suggests that 68,000 people would lose their health coverage if the program were to expire. A Republican redesign for Montana’s health care program for low income adults advanced in the state Senate today. That opens a path for the Medicaid expansion program — including work requirements — to reach the governor’s desk. Montana’s Medicaid expansion bill gets its first hearing in the Senate Friday after passing out of the House. Democratic Governor Steve Bullock is urging lawmakers to pass what he calls an imperfect Republican bill.